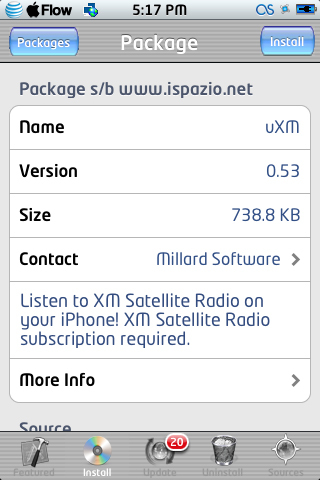 uXM allows you to play XM Satellite radio on your iPhone. We don’t have an account for XM Radio so a member of the forum has posted it for us. Thanks DJContagious!